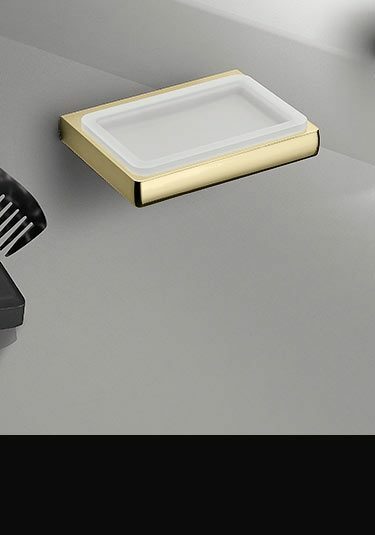 Livinghouse offer a luxury collection of gold bathroom accessories in a contemporary style. 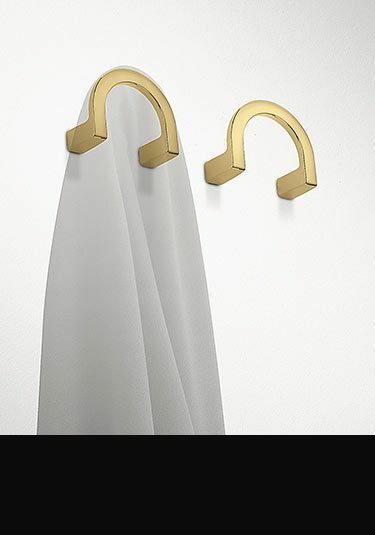 These gold finished bathroom fittings are Italian designed and superior European made with each accessory covered by a 10 year guarantee against rusting and corrosion. Within this gold bathroom accessories range we can supply a full range of accessories including gold finished toilet roll holders, soap dishes, towel rails, pump action soap dispensers, toilet brushes as well as matching gold shower accessories including shower baskets and robe hooks. 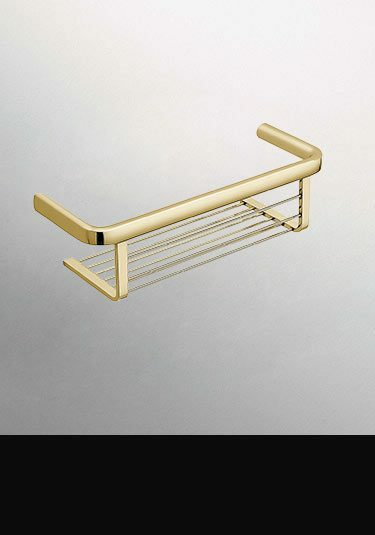 Each gold finished bathroom accessory is made of solid brass with a thick gold plating. We have been selling these luxury gold plated accessories for over 10 years and have never had a corrosion warranty claim, proving the superb quality. Lovely European quality gold soap dishes made in Italy in solid brass with a thick gold plated finish. 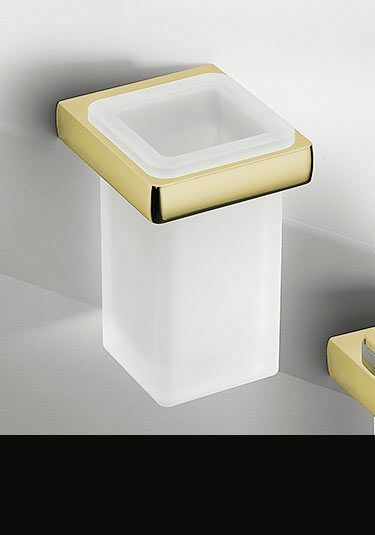 Part of a full luxury gold bathroom accessory collection. 10 year guarantee. Beautiful quality toilet roll holders made and styled Italy. Made of solid brass with a thick gold finish. 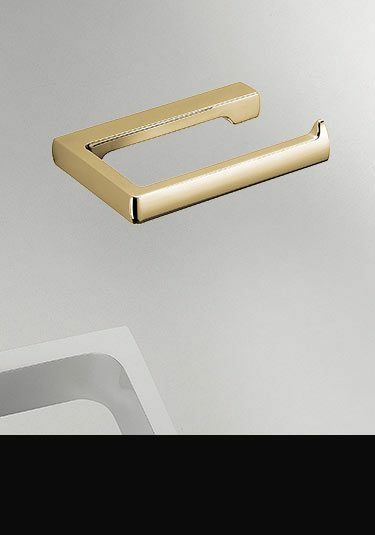 Part of a full gold bathroom accessory collection and supplied with 10 year guarantee. 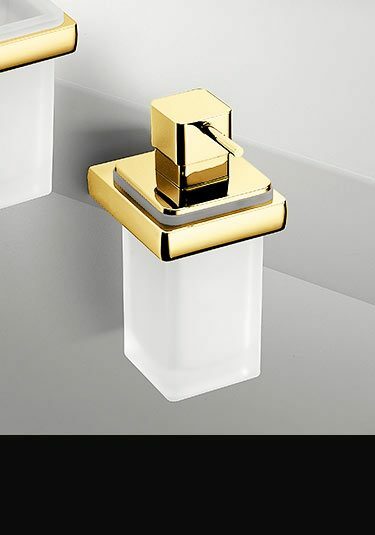 This luxury tooth brush holder is made in a thick frosted glass with a gold plated finish on a solid brass holder. Quality Italian styled and made with 10 year guarantee. Beautiful quality gold plated floor & wall mounted toilet brush sets supplied as part of a larger collection of contemporary styled bathroom accessories. 10 year guarantee. 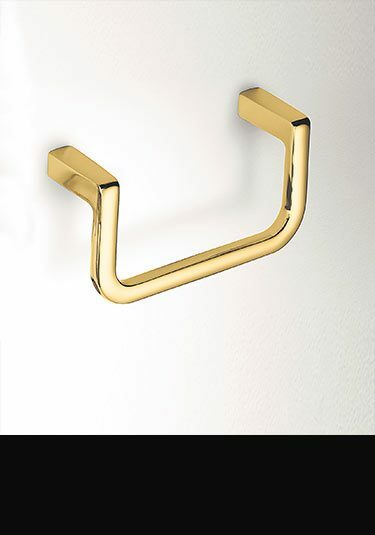 Lovely contemporary styling and beautiful Italian quality, this gold bath robe hook is designed for luxury bathrooms and is made of solid brass with a gold plated finish. Part of a full bathroom accessory collection with a 10 year guarantee. Lovely quality shower baskets with a gold plated finish. 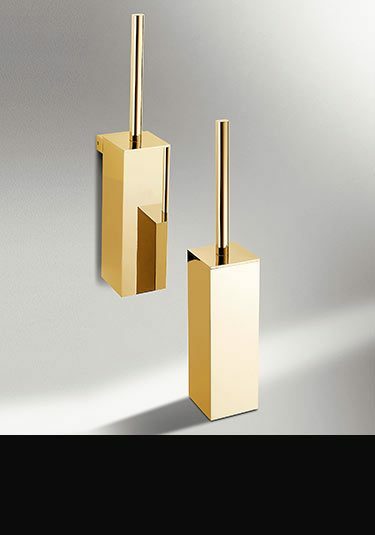 These gold shower accessories are Italy designed and manufactured. Supplied with 10 year guarantee. 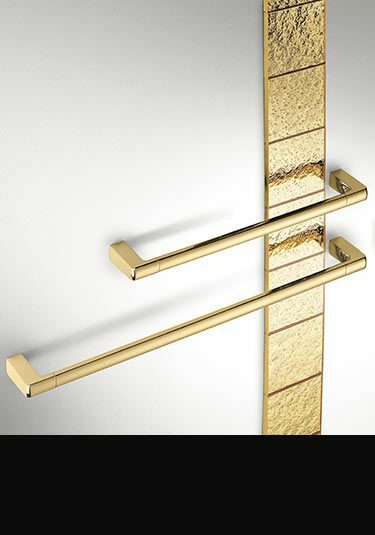 Italian designed and manufactured bathroom and shower acessories in a thick gold plating. These luxury bathroom fittings are covered by a 10 year guarantee against corrosion and rusting. Beautiful quality with a deep gold finish.